The frogs have various colors beneath them & hop from stone to stone. 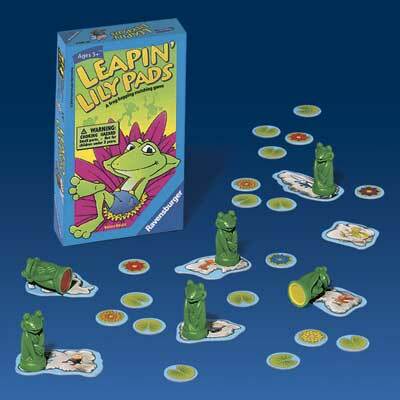 If the color of the frog youÂ´re hopping with matches that of the revealed lily pad, you keep the lily. The one with the most lily pads wins.